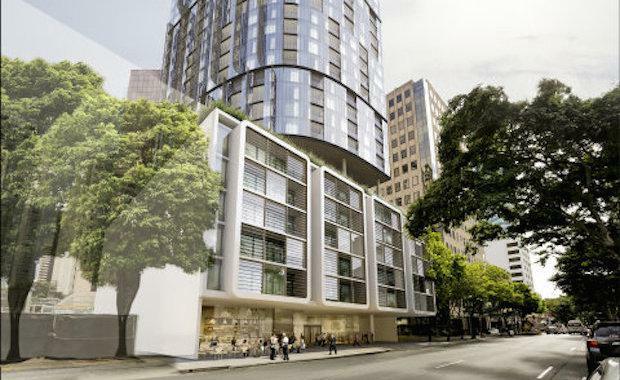 The Singaporean company behind the tallest southern hemisphere residential development in Melbourne, Aspial Corporation, is finalising plans for a key development site in Brisbane. The company, according to The Australian Financial Review, is expected to be closing in on a development site at 240 Margaret Street for more than $25 million. The development is expected to again reaffirm the Asian backed residential market in Australia as Aspial, according to The Australian Financial Review, is planning a significant apartment tower on the site. The site at 240 Margaret Street is currently owned by SEQ Water and prior to the global financial Crisis, the neighbouring site was proposed to receive Brisbane's tallest apartment tower. Global commercial real estate firm JLL is managing sale of the 1,715 square metre site and described the sale as a "prime opportunity to create a world class mixed use development". Current improvements include an office building with 3,525 square metres of NLA over 6 levels and 40 basement car parks. Expressions of interest for 240 Margaret Street closed last month.